One of several BRP-Powertrain assembly lines. Three robots work in harmony to insert deeply chilled parts, a task challenging for humans and the robots never tire. Pipistrel's amazingly energy-efficient factory with several aircraft outside on the company's airfield. The shapely wings of Taurus allow soaring flight with 40:1 gliding power. Towering nearby mountains supplied the lift for our visit. We paid two memorable visits after Aero ended and I'll tell you a little about each one ... but first ... While I was at Pipistrel in the office of boss Ivo Boscarol, he received word that Matevz Lenarcic had reached the North Pole on his flight reported earlier. Congratulations on this achievement; a long flight across the North Atlantic remains. Godspeed! 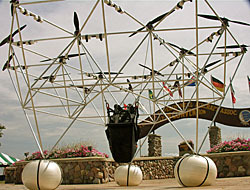 ••• The two visits were to Rotax Aircraft Engines and to Pipistrel. These two are not geographically far apart and work closely. Each spoke highly of the other and both companies are highly impressive places to visit. BRP-Powertrain is the parent behind Rotax Aircraft Engines. Though occupying a sizeable amount of real estate in the immense BRP-Powertrain factory, the aircraft engines are the "hand built" portion of the production. Fast-paced, largely-automated, robot-assisted assembly lines manufacture many thousands of engines each year for such products as SeaDoo, BMW motorcycles, and other well-known brands. Diverse as the two manufacturing systems are, they share many aspects and chief among them is an intensity over quality control. A tour of the entire factory with executive Christian Mundigler became sensory overload. It was obvious that the light aircraft industry benefits enormously from this large Austrian company. Rotax powers an estimated 75-80% of the light aircraft fleet in the USA and even higher in many countries. The name Rotax stems from "rotary axle," a simple bicycle part dating to early in the twentieth century. From such a humble beginning, the company has grown to be one of the largest enterprises supplying the aviation industry. Other than Boeing and Airbus, BRP-Powertrain can match metrics with the biggest and best of them. In the factory, a tremendous effort of efficiency is visible in every step of activity. I was impressed with the respect paid to suggestions from the newest employee to the daily manufacturing floor involvement of high level managers. TV documentary producers would love many great visuals from smoothly and continuously running assembly lines to the blurred-motion speed of robots (photos) inserting critical engine components 24 hours a day. The facility literally hums with activity through three back-to-back shifts. A few hours drive down the motorway in the neighboring country of Slovenia is Pipistrel, the 25-year-old company that produces LSA's broadest line of all-composite aircraft. It was our first visit to the country formerly known as Yugoslavia and we came away impressed enough to spend an extra day touring the gorgeous countryside. Pipistrel has more than 1,000 aircraft flying in 60 countries. Already well known in the USA, it is poised to move steadily up our market share chart; it would already be in the list but several models are registered as LSA gliders which Jan Fridrich and I have struggled to count accurately for a variety of reasons connected to the FAA database. Along with other undercounted categories as we reported earlier, LSA gliders — as the Pipistrel Sinus motorglider and Virus are often categorized — are an integral part of the Light-Sport Aircraft space and we're going to dig deeper to report these more fully. Meanwhile, Pipistrel is delivering Alphas as SLSA airplanes and for this they've acquired space on an airport in Italy, mere minutes away. One great pleasure while visiting Pipistrel was getting to fly the Taurus self-launched motorglider and the speedy Virus SW. I've already flown the Sinus and Virus but missed the Taurus. This roomy first-of-its kind side-by-side microlight motorglider achieves a 40:1 glide engine off yet launches willingly with push from a Rotax 503 two stroke that neatly folds down into the aft fuselage once aloft. Dual main gear makes Taurus stable in taxi and retract for cleanliness during soaring flight. As my wife Randee and I are both soaring pilots it was wonderful of talented factory pilot Nate to get us both aloft near the tall mountains surrounding the factory. We shared the lift with some paragliders and another sailplane from a club based on the same field as Pipistrel. ••• I plan more complete reports on both Rotax and Pipistrel as their highly competent facilities deserve more than you just read. I am so pleased both are working in the LSA space. 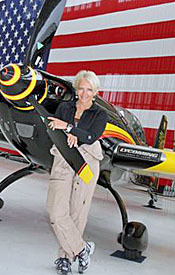 Their professionalism contributes greatly to the advancement of light aviation. We paid two memorable visits after Aero ended and I’ll tell you a little about each one … but first … While I was at Pipistrel in the office of boss Ivo Boscarol, he received word that Matevz Lenarcic had reached the North Pole on his flight reported earlier. Congratulations on this achievement; a long flight across the North Atlantic remains. Godspeed! 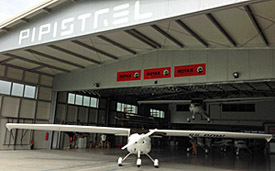 ••• The two visits were to Rotax Aircraft Engines and to Pipistrel. These two are not geographically far apart and work closely. Each spoke highly of the other and both companies are highly impressive places to visit. BRP-Powertrain is the parent behind Rotax Aircraft Engines. Though occupying a sizeable amount of real estate in the immense BRP-Powertrain factory, the aircraft engines are the “hand built” portion of the production. Fast-paced, largely-automated, robot-assisted assembly lines manufacture many thousands of engines each year for such products as SeaDoo, BMW motorcycles, and other well-known brands. Matevz is again flying a Pipistrel Virus SW.
Loaded with long-distance flying gear and scientific equipment, the interior of this light aircraft looks very utilitarian. The Virus SW carries devices to measure the concentration of atmospheric black carbon (soot) in the air. Matevz Lenarcic departed on his North Pole flight on Monday April 22nd. Matevz Lenarcic is in the air again. Lenarcic is the daring pilot who has already flown around the world ... twice! Some pilots simply don't know when to rest on their earlier achievements. Indeed, today Matevz embarked on a solo flight over the North Pole in his specially configured light aircraft. His mission (besides an audacious long distance flight): recording black carbon readings over the Arctic. He'll cross much of Europe, pass over the North Pole, continue to Canada and return to Europe crossing the North Atlantic from Newfoundland to Ireland flying parallel to Lindberg's record flight from New York to Paris (map). He will capture the Arctic with aerial images and if you'd like to vicariously join his adventure, you can follow Matevz's North Pole flight. A biologist and photographer, Matevz is again flying a Pipistrel Virus SW that has won NASA's efficiency competition; the company pocketed prizes of more than one million dollars. 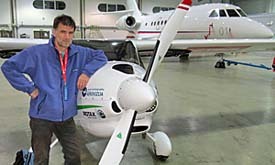 With 4,000 hours in his logbook, Lenarcic has proved his abilities with two globe-girdling flights, one with a Pipistrel Virus SW in 2004 and one with a Sinus in 2012. "Legendary expeditions ... led to discovery of new trade routes that brought strategic and capital benefits," Lenarcic observed in a news release from Pipistrel. Modern expeditions benefit from improved research and technical instrumentation. Devices which weighed hundreds of pounds just a few years ago can now fit into fuel efficient, low cost, and nature-friendly light aircraft. Lenarcic expressed that the Arctic is an important generator of weather. Changes in polar ice can have a decisive impact on the speed and direction of ocean currents, which events can trigger globally-felt effects. Arctic expeditions are frequent; the North Polar region has been crossed on foot, on skis, with icebreakers, submarines, and aircraft. However, Matevz noted, "Light and Ultralight planes are still extremely rare in this part of the world. Despite the development of high performance ultralights no one has overflown the North Pole from one continent to another." Assuming his flight progresses as well as his prior circumnavigating attempts, he will bring light aircraft to the northern Arctic. On his flight Matevz will attempt to burn the smallest amount of fuel per distance flown. The project will attempt to show how light aircraft can be used to collect significant scientific climate data. His Pipistrel aircraft will carry a device developed by the company Aerosol, which measures the concentration of atmospheric black carbon (soot) in the air over the North Pole. Matevz reported that this has not been done before. To fulfill requirements of the North Pole flight, Pipistrel specially modified a Virus SW able to operate safely at low polar temperatures and high altitudes. Fuel consumption must remain at very low levels because some legs of the flight cover several thousand kilometers. This Virus SW can fly up to 160 knots yet slow to 43 knots. It was fitted with a wide range of avionics, navigation equipment, IFR systems, an auto-pilot, radios plus a second generator for redundancy. Bon voyage, Matevz! Matevz Lenarcic is in the air again. Lenarcic is the daring pilot who has already flown around the world … twice! Some pilots simply don’t know when to rest on their earlier achievements. Indeed, today Matevz embarked on a solo flight over the North Pole in his specially configured light aircraft. His mission (besides an audacious long distance flight): recording black carbon readings over the Arctic. He’ll cross much of Europe, pass over the North Pole, continue to Canada and return to Europe crossing the North Atlantic from Newfoundland to Ireland flying parallel to Lindberg’s record flight from New York to Paris (map). He will capture the Arctic with aerial images and if you’d like to vicariously join his adventure, you can follow Matevz’s North Pole flight. 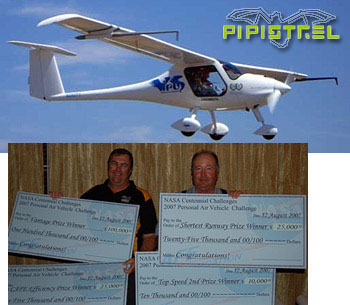 A biologist and photographer, Matevz is again flying a Pipistrel Virus SW that has won NASA’s efficiency competition; the company pocketed prizes of more than one million dollars. Flight Design's new "European Adventure" program allows CTLS buyers to travel to Germany, pick up their LSA, and fly it around Europe in a guided tour. My European associate and friend, Jan Fridrich, coined a phrase a few years ago: "Global LSA," he said, meaning the ASTM standards set could be used in any country and thereby create a worldwide market for recreational aircraft. Already a few accept the standards and many are considering or are already using some variant. So, in this post, let's review some international successes for LSA. Tecnam is one of the most prolific of all LSA producers and not just because they have multiple approved models. Recently, they sold a pair of P2008s to New Zealand. Waikato Aero Club CEO Richard Small said, "The new planes have a number of advantages over traditional aircraft. Manufactured from modern materials [Tecnam] planes are more fuel efficient and quieter. They also have full electronic flight display screens. Our pilots are thoroughly enjoying the upgrade." 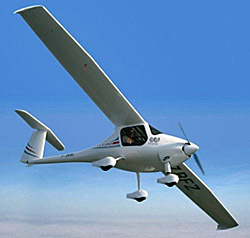 Pipistrel has logged sales globally as well and booked four orders for their new Alpha Trainer into Russia. "We selected the Alpha Trainer because Pipistrel has an excellent reputation," said Arkadiy Orlov of St. Petersburg Aviation Training Centre, "and the Alpha Trainer has showed itself as an outstanding price-performance trainer solution." Four Alpha Trainers were scheduled for delivery this summer. Speaking of the former USSR, did you hear about Russian president Vladimir Putin — who likes to perform various macho stunts — training to fly a trike with migrating Siberian white cranes? How often does a national president enjoy recreational flying? Along those lines, how about the Libertarian candidate for U.S. president, Gary Johnson? My friend GW Meadows recently posted photos on Facebook of him giving a tandem flight to Johnson some years ago and the triathlon athlete candidate has also flown paragliders. Back to the world of LSA, Flight Design has announced a fascinating new program where U.S. buyers of their CTLS can pick it up in Germany and fly around the continent with a guide and then have it shipped back to America... much like similar programs for automobiles. Company spokesman John Doman said, "Flight Design's carefully selected, experienced and multi-lingual tour guide pilots will seamlessly handle the local details, enabling you to quickly become comfortable in your new environment and focus on the fun of flying in your own aircraft above the historic and breathtaking landscapes of Europe!" Interested in a new P92 Taildragger? While not a sweepstakes giveaway, you might get a decent deal and help a worthy cause. AOPA Foundation's "A Night for Flight" online auction will generate proceeds to benefit the Foundation's mission to preserve general aviation now and for future generations. Bidding ends on October 13th. Tecnam has donated the right to purchase, at a substantial discount, a brand new Tecnam P92-TD Taildragger with a value of $153,000. AOPA said, "The difference between the final winning bid and the discounted cost of the basic aircraft will be donated to AOPA Foundation." Bidding starts at $119,000. My European associate and friend, Jan Fridrich, coined a phrase a few years ago: “Global LSA,” he said, meaning the ASTM standards set could be used in any country and thereby create a worldwide market for recreational aircraft. Already a few accept the standards and many are considering or are already using some variant. So, in this post, let’s review some international successes for LSA. Tecnam is one of the most prolific of all LSA producers and not just because they have multiple approved models. Recently, they sold a pair of P2008s to New Zealand. 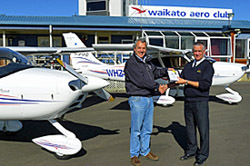 Waikato Aero Club CEO Richard Small said, “The new planes have a number of advantages over traditional aircraft. Manufactured from modern materials [Tecnam] planes are more fuel efficient and quieter. They also have full electronic flight display screens. Our pilots are thoroughly enjoying the upgrade.” Pipistrel has logged sales globally as well and booked four orders for their new Alpha Trainer into Russia. Read More About: Alpha CTLS Flight Design GmbH Flight Design USA P2008 P92 Echo Super Pipistrel LSA s.r.l. Tecnam Costruzioni Aeronautiche Tecnam US Inc.
Pipistrel has been grounded while FAA determined where the aircraft are manufactured. Pipistrel aircraft can now joyfully take to American skies once again. Two days ago, Aero-News Network was first to break a news story ("Stupid Fed Trix") about FAA blocking Pipistrel from the ability to get Airworthiness Certificates for aircraft awaiting customer delivery. The problem was not a new model FAA had never seen. 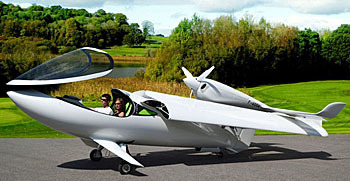 It was for models already in the country and flying with typical LSA approval. The problem? 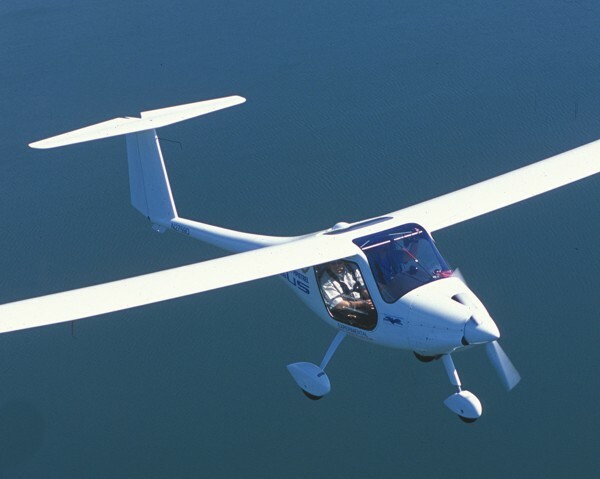 FAA didn't seem sure where those LSA were made and in the arcane world of federal government approval, a LSA cannot be built in a country where FAA does not have an understanding with local aviation authorities called the Bilateral Safety Agreement (BSA). Bored yet? *** Maybe... but if you were one of the customers who paid for an aircraft that you could not fly, you wouldn't be bored. You'd be mighty unhappy. You paid for it. The aircraft has no problems except for the BSA issue (which cannot make an existing aircraft any safer). Your plane is in country. Yet it sits, ground-bound. *** Fortunately, the news got better and this may be almost entirely due to media shining a bright light on the subject. While we all grouse about media of all kinds distorting the facts, showing a bias, or other stupid "trix" of their own, media has a role in society and this story shows it clearly. Kudos to ANN editor Jim Campbell for flicking on the big searchlight. *** At the close of business yesterday FAA issued the following statement, which we only edited to show the correct spelling of Pipistrel: "Earlier this year, Pipistrel's Italian-based light-sport aircraft subsidiary submitted an application to the FAA for special LSA airworthiness certification on a Taurus 503 motor glider. The FAA wanted to ensure that the application included sufficient proof the aircraft were built in Italy. We now believe we have sufficient evidence that the aircraft are manufactured at the Italian facility. We will contact Mr. Coates of Pipistrel to resolve the remaining issues. In describing the various aspects of our inquiry, staff anecdotally indicated that the Pipistrel LSA s.r.l. facility was not visible on Google Earth, but that was not an official factor in considering the application." *** Now those Pipistrel owners will get some air under their wings and the Pipistrel dealers, importer, and factory can get back to business. I can hear the "Whew!" loud and clear. Two days ago, Aero-News Network was first to break a news story (“Stupid Fed Trix”) about FAA blocking Pipistrel from the ability to get Airworthiness Certificates for aircraft awaiting customer delivery. The problem was not a new model FAA had never seen. 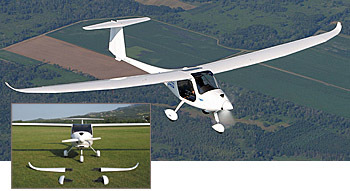 It was for models already in the country and flying with typical LSA approval. The problem? FAA didn’t seem sure where those LSA were made and in the arcane world of federal government approval, a LSA cannot be built in a country where FAA does not have an understanding with local aviation authorities called the Bilateral Safety Agreement (BSA). Bored yet? *** Maybe… but if you were one of the customers who paid for an aircraft that you could not fly, you wouldn’t be bored. You’d be mighty unhappy. You paid for it. The aircraft has no problems except for the BSA issue (which cannot make an existing aircraft any safer). 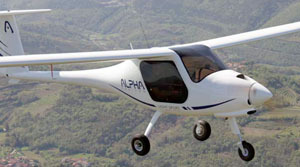 Pipistrel's new Alpha Trainer takes off. Alpha's interior invites new student pilots. An airframe parachute comes standard. Engineers at Pipistrel must not sleep in too often. This company, which won the NASA efficiency challenge several times — in 2011 taking home a $1.35 million cash prize! — just unveiled a full-size version of a sleek four seat design called the Panthera. Now on the other end of the spectrum comes their Alpha Trainer, a reasonably priced LSA model aimed at the flight instruction market. 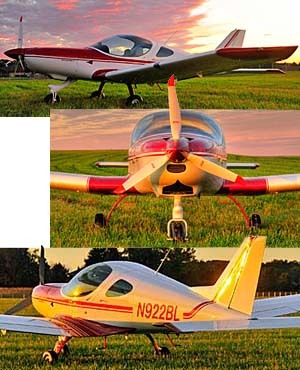 Their range of models is broad running from powered sailplanes to multiple LSA models. *** "Pipistrel is proud to announce the successful conclusion of the test flights program and the release of our new aircraft, the Alpha Trainer," announced the company, which operates production facilities in Slovenia and Italy. Developed as a basic military aircraft trainer at the request of certain countries, Alpha is supplied in nosewheel-only configuration, part of a slate of decisions to hold down the price. Two models were developed; one for the European ultralight market at max weight of 1,040 pounds and another at 1,212 pounds for the LSA market, specifically for nations that accept some version of ASTM standards. *** Despite having less than 1,320 gross weight, Pipistrel says full fuel payload is an impressive 507 pounds. One way they achieve this is with a smaller central 15 gallon fuel tank. In practice, Pipistrel said this quantity produces a 390 nm range with 30-minute reserve at a cruise speed of 108 knots (124 mph). In a training role the company said, "Alpha uses less than 2.5 gph, effectively giving five hours endurance." One way to find such fuel economy is by using the 80-hp Rotax 912, which swings a two-blade fixed pitch wood propeller. 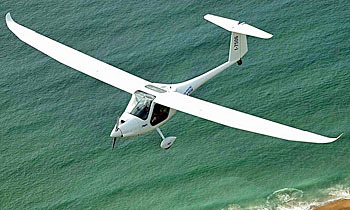 A lower weight helps to "achieve very short take-off distance and climb rates of over 1000 fpm." Alpha sports a new wing that is based on the sleek Virus wing though they removed the air brakes to reduce cost and make for simpler controls. Flaperons were also changed to have 25 degrees of flap travel. *** Alpha lists for €69,000 or just under $90,000 at today's exchange rates. "Customers have evolved from [those seeking] basic, entry-level aircraft to more sophisticated pilots who require glass-everything with autopilot and many other additions. This is great if you can afford it, but lately the ailing economy mostly does not allow that." Many Americans would agree and none more than flight schools, which are challenged to find financing able to allow new aircraft purchases. As a result many use vintage Cessna 150s and 172s that are older than their younger students. Alpha could help alter that equation. The European company reports, "We are working with several finance companies and business planners to develop a complete turnkey solution for a start-up training school business." U.S. representatives can fill in the details of this plan. Before you call, you can download a very complete, 13-page Alpha info PDF with full specs and lots of photos. Engineers at Pipistrel must not sleep in too often. This company, which won the NASA efficiency challenge several times — in 2011 taking home a $1.35 million cash prize! — just unveiled a full-size version of a sleek four seat design called the Panthera. Now on the other end of the spectrum comes their Alpha Trainer, a reasonably priced LSA model aimed at the flight instruction market. Their range of models is broad running from powered sailplanes to multiple LSA models. *** “Pipistrel is proud to announce the successful conclusion of the test flights program and the release of our new aircraft, the Alpha Trainer,” announced the company, which operates production facilities in Slovenia and Italy. Developed as a basic military aircraft trainer at the request of certain countries, Alpha is supplied in nosewheel-only configuration, part of a slate of decisions to hold down the price. 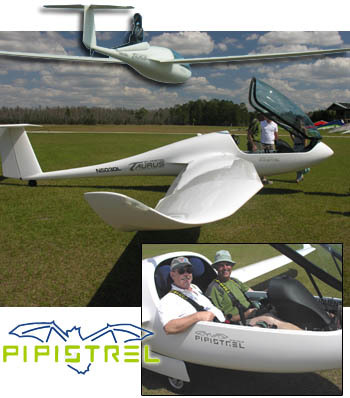 Read More About: Alpha Pipistrel LSA s.r.l.